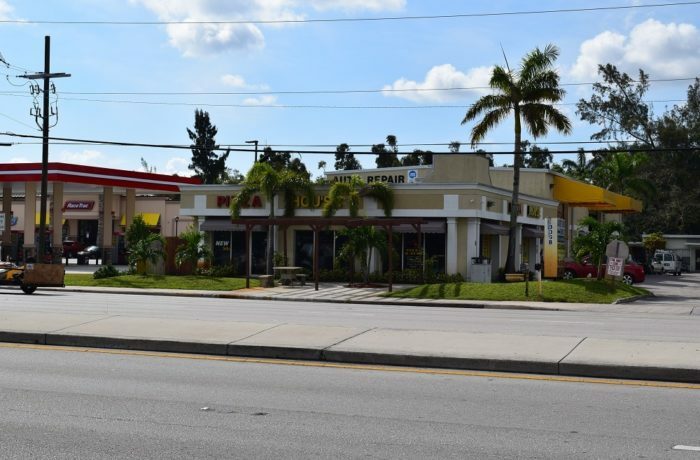 Located on corner of Congress and Lake Worth Rd. Restaurant Space: 1,805 SF space currently set up as a turn-key restaurant with 2 walk-in coolers and a conveyor oven. Dining area already set up with outside dining as well. Automotive Shop: This is a warehouse with lifts and is set up as a turnkey auto shop. Across the street from Palm Beach State College on Lake Worth Road and Congress Avenue. One mile to expressway and 3.5 miles from beach.